When you have many Dinoz, you can move and fight them together. In order to do this, move two Dinoz to the same place and use the Follow action on one of them. Once the group is formed, you can move and fight them together. However, some locations cannot be accessed. 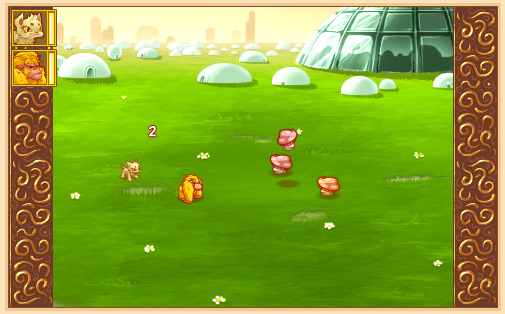 Dinoz will need to unlock these areas by acquiring items or reaching the required level. Any Dinoz in the group who does not fulfill these requirements is automatically removed during the move. A group can contain up to 3 Dinoz, but some skills or items enable you increase the number of the group. You can stop a Dinoz from following at any time by using the corresponding action.